When a pet runs away most owners assume it’s never coming back home. That’s just what Elizabeth Ober thought when Salem ran away from home on moving day last November. Their dog goes by the name “Lucky” but the feline in this family has the nine lives. Just a couple of months after living in their new home, which is about 6 miles away from where the cat was last seen, an interesting sight greeted Ober out in the front yard. 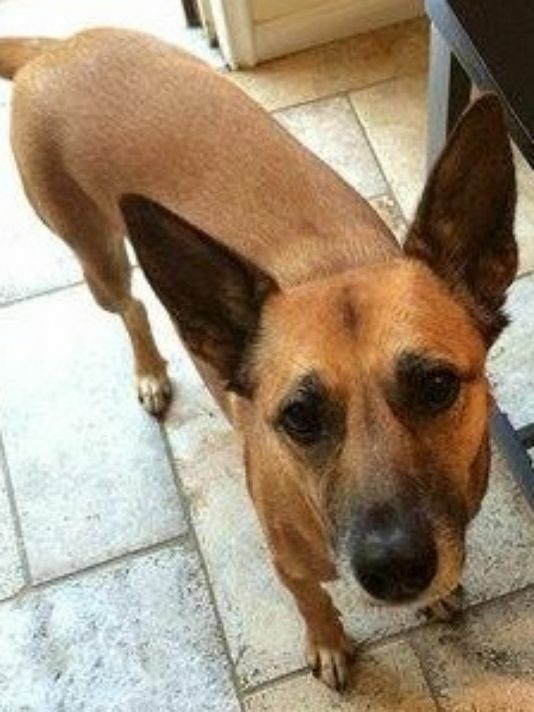 Sahara, a brown Belgian Malinois, has been missing since last weekend. If dogs could talk, Sahara, a Belgian Malinois from California, could spin a yarn about her adventurous 25 hours on the lam in subzero temperatures, her first time in the snow and all the critters she met — or evaded. Sahara slipped from her owners’ hotel room Tuesday afternoon after a housekeeper mistakenly let her loose. While Sahara was beginning her adventure, it was a nightmare for her owners, Nick Hoeh and Rick Dunkle, who moved here Saturday from California. “We’re just going off of anything we can. If we hear it, I’m out there,” Hoeh said a few hours before Lafayette Animal Control found the 31/2-year-old pooch, which Hoeh and Dunkle rescued from an abusive home. Animal Control officers spotted Sahara in the 900 block of Greenwich Road as the sun painted the western sky pink and the shadows grew long. It wasn’t the first sighting during her 25 hours in the wild. She had been spotted at Cracker Barrel, Hour Time Restaurant and the Lazy Boy Furniture store, but each time she ran from would-be rescuers. 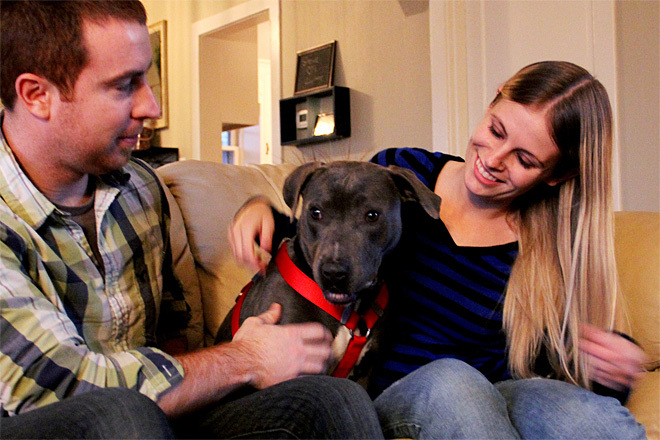 Summer, a pit bull-terrier mix who ran away from her foster home was lost for almost four months. She is now back with her foster owners Corinne Hashenberger and Steve Staten at their home in Salem, Ore., on Tuesday, Jan. 13, 2015. This isn’t one of those farfetched tales about a canine wandering across state lines and thousands of miles from home before being found. But this is an improbable story about a pup named Summer who ran away and was found 112 days later thanks to the relentless efforts of volunteers from the Willamette Humane Society, Lost and Found Pets of Salem Oregon, and the community at large. A photograph of the lilac-colored pit bull-terrier mix, posted on the Lost and Found Pets Facebook page, ultimately led searchers to the blackberry bushes behind two businesses on Commercial Street NE near the Y intersection with Front Street NE. Summer was still a puppy when she busted out a screen door on Sept. 21, jumped off a 30-foot-high deck, and ran. It was her first night at her new foster home in West Salem. She had come to the Willamette Humane Society through its partnership with California-based Shelter Transfer Animal Rescue Team (START). The plight of Mocha, the Rock Hill dog euthanized on New Year’s Eve after being hit by a car, shines a light on the stress pet owners go through when their four-legged friends disappear. But despite Mocha’s untimely fate, many lost animals do find their way home. In the case of one dog placed by Teri McAllister, it happened not once but twice. After McAllister, founder and director of the private rescue shelter Recycled Pets of Rock Hill, placed a small dog with an owner in Charlotte, the dog escaped from its new downtown home. The stray got picked up by someone and taken to Charlotte’s Steele Creek neighborhood, where the pup escaped again and ended up at another house. That Good Samaritan’s efforts to locate the owner paid off. “We tracked it down to who had picked it up, and when we went to Steele Creek, (the finder was) smart enough to put signs up around the neighborhood,” McAllister said. 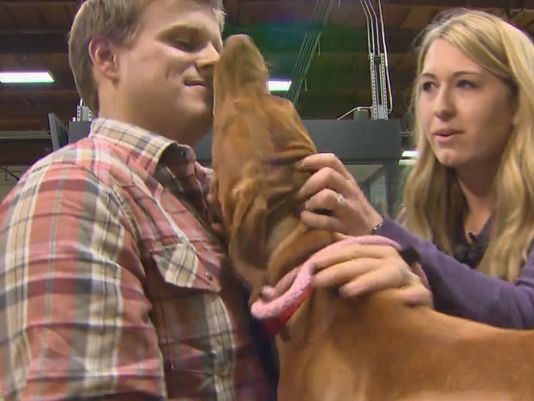 Penny the missing pup has been reunited with her Washington state owners after a cross-country trek that led her to the Pittsburgh area. 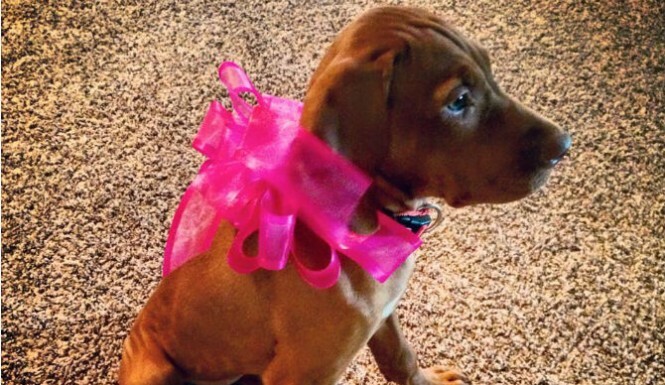 A 7-month old Vizsla is back with her parents after getting lost and taking a 2,400-mile road trip with a truck driver. To Susan Peters, the sounds outside her door were pure music. 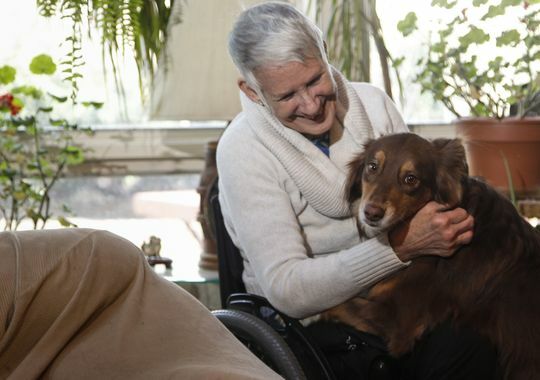 Her service dog, Savannah, had come home. “She burst into the room, wagging her tail and crying for joy,” Peters said. Savannah had been missing since Friday afternoon and turned up at home at about 10:45 p.m. Sunday. The entire community had been alerted. Search groups were formed, the media and police were marshaled and fliers were printed. But in the end, Peters said, Savannah simply found her own way back, often dodging the very people trying to help her. The red and brown Australian shepherd was checked Monday afternoon and Peters said Savannah will be fine. 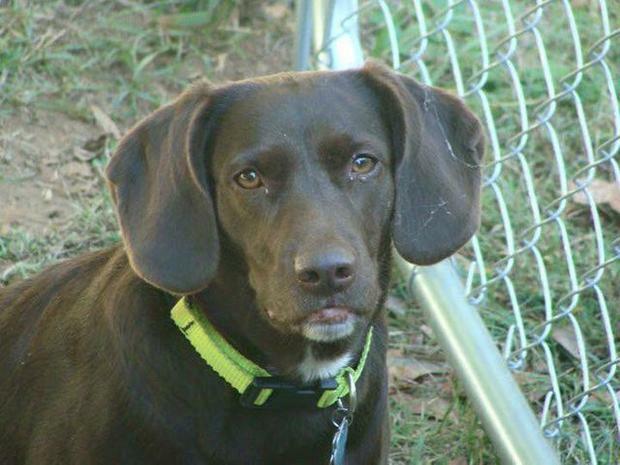 Penny the dog was found 2,400 miles from her home in Washington State. The bubbly K-9 breed went missing earlier this month from her family, but through a Facebook effort to locate the stolen dog, their companion was found in Pittsburgh. Thankfully, the social media effort paid off and Penny will be reunited with her family Friday, citing a Q13 Fox News report. 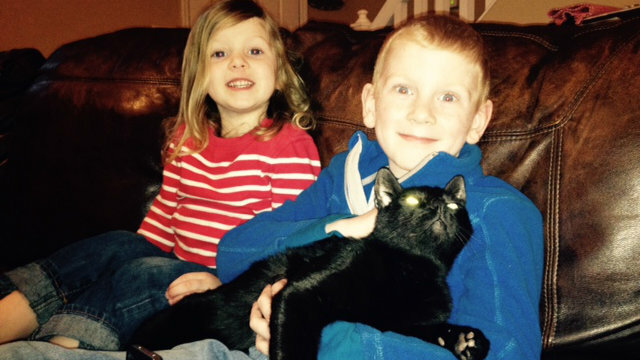 Colt and Kendra Brown reported their dog missing on December 19. Then, Penny went to work with Colt just days ahead of Christmas, but vanished at some point while out of his sight, according to Brown. After looking locally in the area to find the missing dog, to no avail, the Browns took to social media in an effort to broaden their efforts. A Facebook community page was activated called Bring Penny Home for Christmas, and before long, their efforts paid off. The couple got a tip from someone who said they observed a truck driver picking up the leash-less animal on the day it went missing. The family was able to track him down, but soon thereafter, he stopped returning telephone calls. Not soon thereafter, Kendra and Colt received a call from a Pittsburgh animal doctor who said someone surrendered Penny to them. Thanks to a microchip, the veterinarian was able to get contact information for the Browns to tell them their dog was found some 2,400 miles away from home. Watch the video news report below. The Browns were over the moon about the news that their dog had been located and was in good health. Then began the task to get her home. While plans were made, Penny was taken to a local animal rescue facility in Pittsburgh until she could be reunited with her owners. She wasn’t there long. Krista Novak, who resides in Evans City, heard about the missing/stolen dog from Washington through the Facebook page. She volunteered to provide a foster home for the dog until the family can retrieve her. Besides, she has a similar breed, and the two animals got along just find like bosom buddies. And in another stroke of holiday cheer, Alaska Airlines intervened and offered to fly the dog 2,400 miles home after it was found. Kendra Brown said the arrangements are in place and their family companion is due to arrive in Seattle in just days to a holiday homecoming. Although the dog found some 2,400 miles away from home didn’t spend Christmas with her family, she will be home to continue the New Year 2015 celebration. My neighborhood just came alive with this, amazing the number of people that helped find her. Neighbors even went outside and kept calling my dogs name.